Allow me to share with you my short but immensely affirming trip to Jakarta the past 3 days about the power of the GK way of caring to bridge social, religious and cultural gaps. 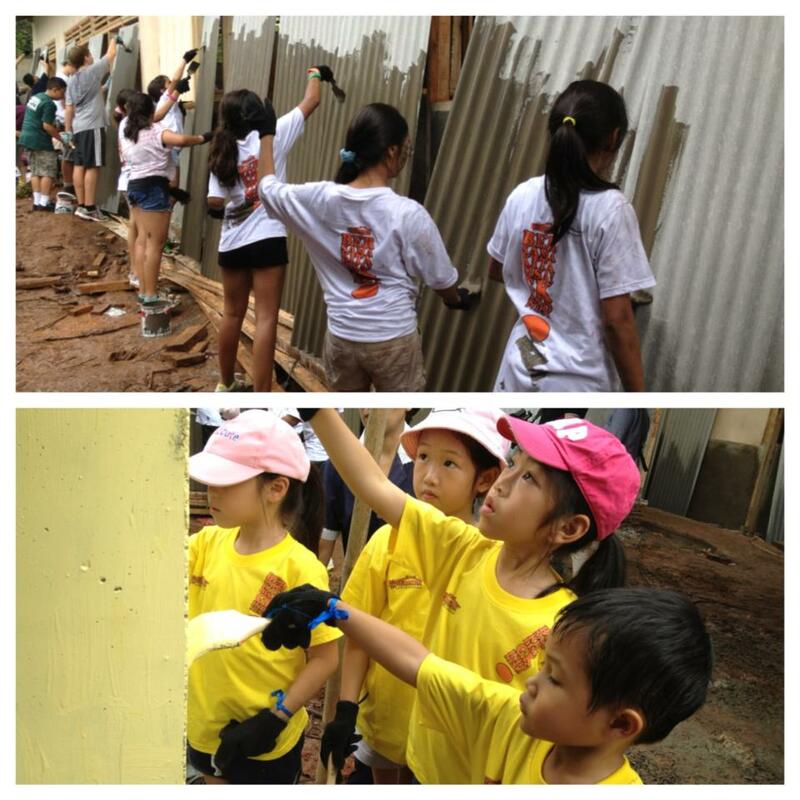 Students, faculty and parents of Jakarta International School mixed concrete, painted walls, dug canals and danced with volunteers from business corporations, other schools and the all-Moslem beneficiaries to build a new community for flood victims living in the most squalid conditions in the low-lying areas of the city. 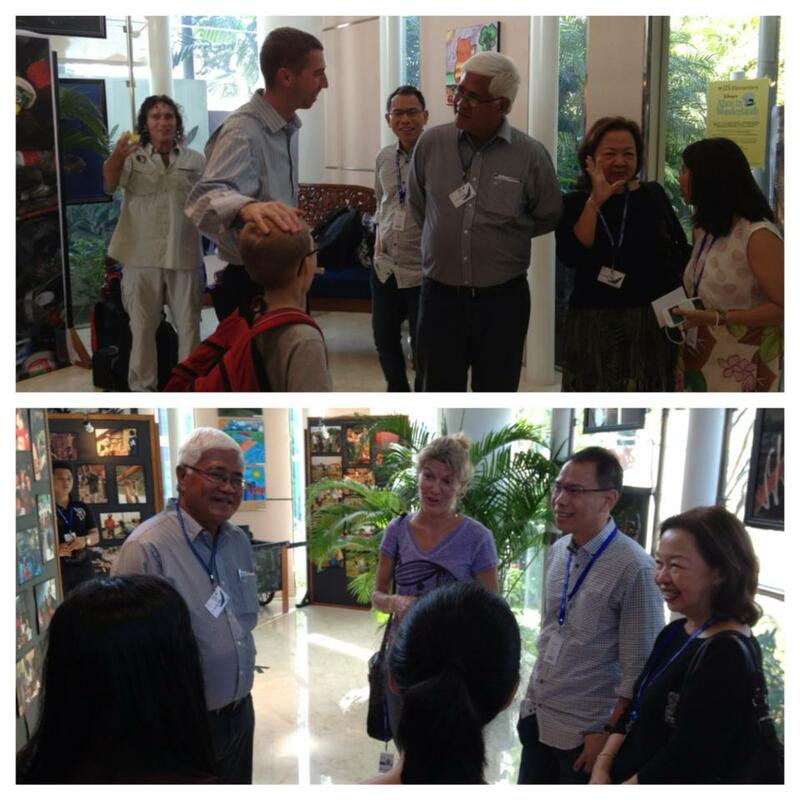 Sharing the GK stories and inspiration through an exhibit in Jakarta International School. The crowd was doing exactly what we have been doing in the Philippines in over 2000 villages since the first community in Bagong Silang in 1999. It's the same bayanihan spirit. The power of solidarity. No one is too young to make a difference! Families can make a difference together. The young from families with means and comfort were sweating in the sun, their bodies smeared with paint, dust and dirt, and dancing with abandon during the break from work. Joy with hard-work, hope with sacrifice. This is the magnet of GK. 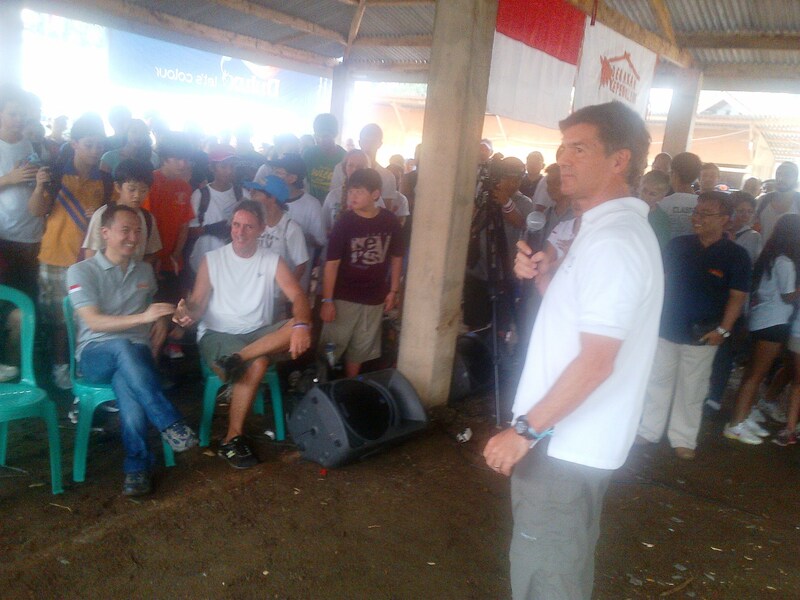 >> Read the personal account of a volunteer in "Service Through the Eyes of a JIS Student"
In the photo is the JIS Headmaster Tim Carr; listening to him with other volunteers is our young GK Indonesia Chairman Arif Rachmat who came with his family and friends. It was inspiring to see Indonesia's most privileged not just handing out donations but working, eating and rejoicing with the least fortunate of their brethren. Proof of faith in action is the GK way to sustainable peace and prosperity. The best education is learning to be more caring for people and planet. 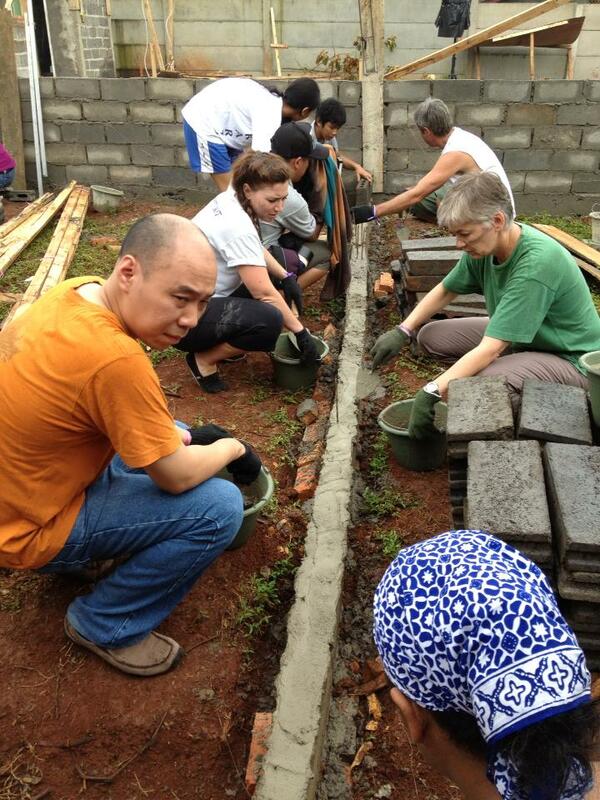 Ed & Maricel Macesar are an inspiration to their all-Moslem team. They have the confidence to deal with corporate executives and Indonesia's elite as they also have the sincere affection to gain the trust of the poorest scavengers and slum-dwellers. They are a blessing to Indonesia and a source of pride for Filipinos. Their target is 10 new villages this year. Awesome. This is truly God's work. >> Read more about the first GK village in Indonesia in "Jakarta's GK Cisadane"
I'm off to Singapore to speak at the World Health Summit and then to Europe to join Luis in Oxford for the annual Skoll awards. Gawad Kalinga is not a charity, rather, it's an organization that aims to end poverty by building empowered communities. Indonesia was the first country outside the Philippines to adopt the GK model of development. Gerakan Kepedulian (GK in Bahasa) has grown into a local movement where prominent Muslims and their friends are taking ownership of the work to assist their own countrymen.